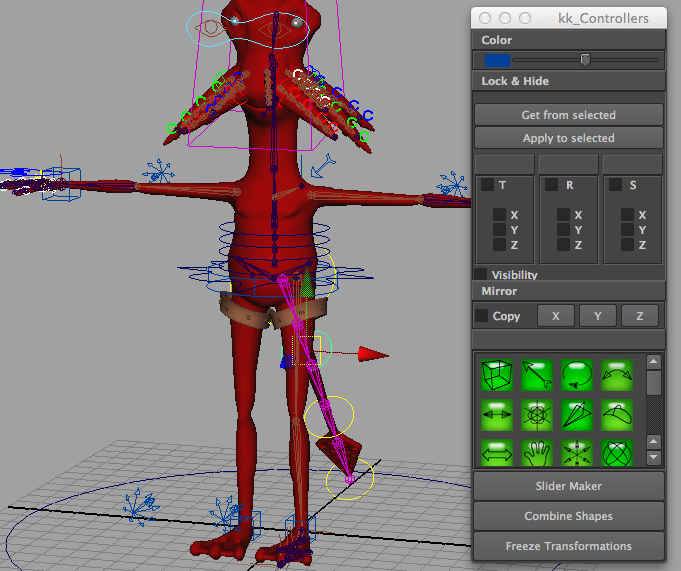 This month I’m doing character rigging and I’ve got to say it’s been challenging. There have been a few free scripts that has made my life so much easier and I thought I’d share. The first one is EDMX Stretch Spline. This cool script creates a stretchable spline IK/FK switch on the fly. 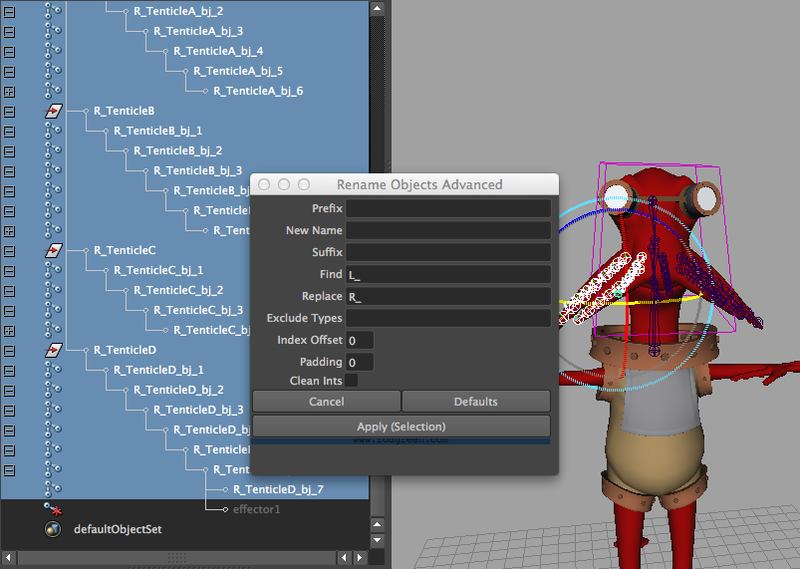 Great for the tail of the character I’m rigging. The second nifty script is Rename Object Advance created by Rod Green. This is way more versatile renaming tool then what’s built into Maya. The last script I want to talk about is kk_Controllers. What’s really cool about this script is it’s not only has a list of pretty neat controllers but when you select the object you want to add control to and place it, it will place the controller’s primed (along the same axis as the selected objects pivot) and zero’d out (attributes are set to a value of zero). I wish along with it being primed it was also padded. Maybe a padded feature will be added in the future. It also includes mirroring of objects and hiding and locking of transforms. The other thing I wish it had was the capability to add controllers but can’t really complain when all these scripts are free for everyone to use and download.